As you can see, we have our enjoyable annual lunch coming up. This is the Sunday after Mother’s Day, so a ticket to this fun outing is a great pressie for lucky mums. I request and get the gift of my whole family attending each year, and they always enjoy it. I hope you and yours will join us. As usual it will include music, views and a great Silent Auction including art, homewares and accommodation. Tickets sales will commence soon via the website www.fheal.com.au. 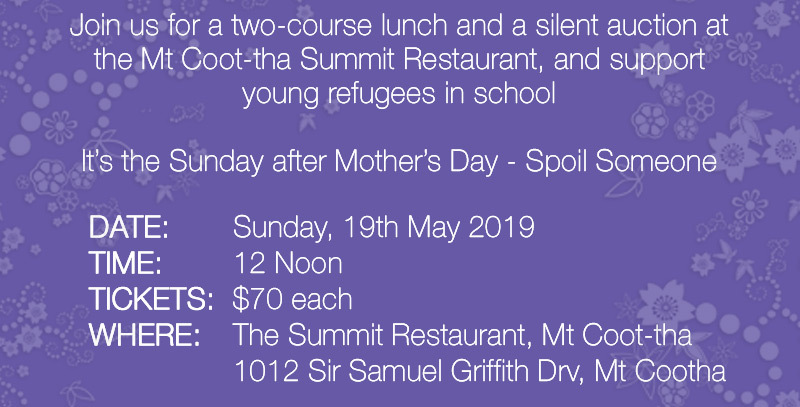 Bring family or friends and enjoy the view, the food, the auction, and the knowledge that you are assisting young refugee newcomers to feel included and available for learning. How fortunate we were in March to enjoy “Songs of Hope and Healing”, a wonderful concert put on by QPAC to benefit our charity. We so enjoyed the great voices of Linda and Vika, were enthralled by a variety of World music by Jade and Mzaza, enjoyed the harmonies of the talented choralists, and so much more. Big thanks to Noni Hazelhurst for her part, and to John Kotzas and QPAC for their great professionalism and generosity. Thanks to our guests on the night, and for the donations online and in buckets! The Milpera HEAL team has been included in the upcoming Trauma Aware Schooling Conference, in which we will be presenting creative methods for teachers to use with classes. We will share creative movement, art and music exercises. Fun and important. We recently started our FHEAL Instagram account (Fheal 89) and it has been fun to see all of the healing images and words out there in Insta-Land. 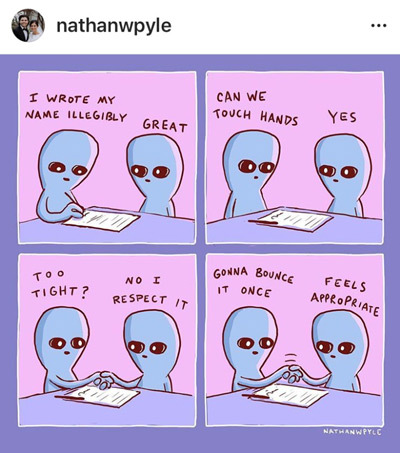 One of my fave new discoveries is a cartoon by nathanwpyle in which alien people are discovering their world. Their attitude of joyful curiosity really reminds me of our refugee-background kids as they arrive: some feeling a bit alien, but curious and keen to learn, analysing things carefully and rejoicing in new experiences. See a sample following. 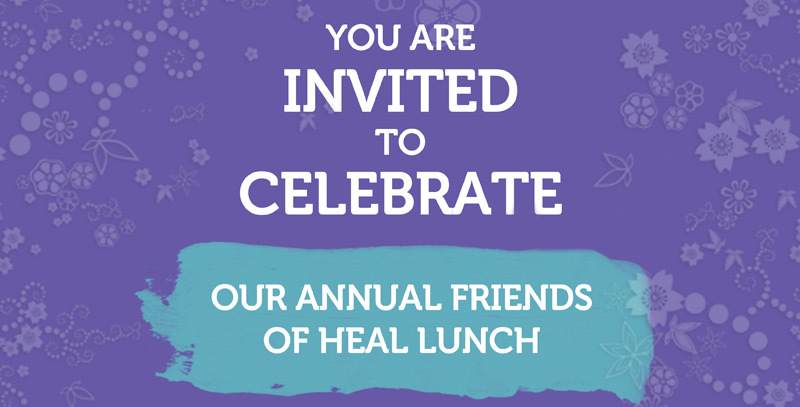 Hoping you can join us at the lunch.